nopCommerce 4.10 is a fully customizable shopping cart. It's stable and highly usable. HostForLIFE’s servers are optimized for .NET web applications such as nopCommerce 4.10. The performance and the uptime of the hosting service are excellent and the features of the web hosting plan are even greater than what many hosting providers ask you to pay for. What is European nopCommerce 4.10 Hosting? The main changes that we implemented were aimed at making nopCommerce more store owners and store managers oriented. We wanted to ease the work with the platform for all types of users: from beginner merchants to experienced managers. Making it happen, we focused on UI and UX and simplified and re-designed admin area. This version of nopCommerce was based on the valuable feedback we’ve got on our first conference nopDevDays 2015. The main changes that we implemented were aimed at making nopCommerce more store owners and store managers oriented. We wanted to ease the work with the platform for different types of users: from beginner merchants to experienced managers. Making it happen, we focused on UI and UX and simplified and re-designed admin area. Why Choose HostForLIFE.eu for nopCommerce 4.10 Hosting? 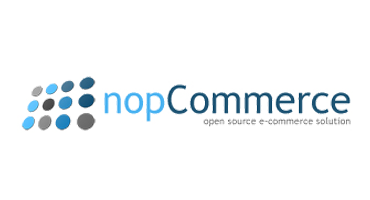 Try our Free nopCommerce 4.10 Hosting today and your account will be setup soon! You can also take advantage of our Windows & ASP.NET Hosting support with Unlimited Domain, Unlimited Bandwidth, Unlimited Disk Space, etc. You will not be charged a cent for trying our service for the next 3 days. Once your trial period is complete, you decide whether you'd like to continue.